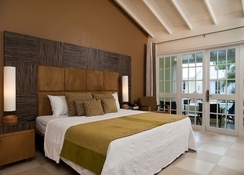 Nestled inside the UNESCO World Heritage Site of Garrison Historic Area, on the south Barbados coast, the Island Inn Hotel is just steps from the gorgeous Pebbles Beach and Carlisle Beach, plus just 1.5km from Bridgetown, the bustling capital. This 24-room all inclusive property is preferred by travelers for its quiet privacy, simplicity and olde worlde hospitality. The hotel boasts an inviting swimming pool when you’re not lounging on the beach, a sun terrace, fitness centre, and all day dining options at The Boardwalk Restaurant. If you want to explore the local area, The Garrison Savannah Race Track is less than a 10-minute walk away, plus there are a medley of bars, restaurants and entertainment nearby. 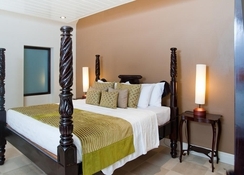 The Island Inn Hotel is barely a 2-minute walk to the gorgeous beachfront of Carlisle Bay. Within the UNESCO-listed Garrison Historic Area, you’ll also find the Savannah Race Track which can make for an interesting day out. Explore the local culture in the capital of Bridgetown, which is a short distance of 2.5km away. 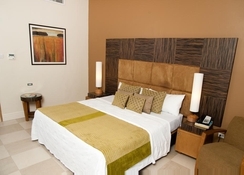 Comfortable rooms welcome the guests staying at the Island Inn Hotel. All 24 guestrooms offer idyllic views of the gardens, pool, or the courtyard. 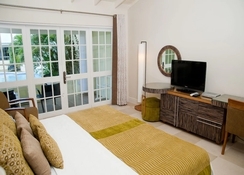 Each of the rooms are equipped with a flat-screen TV, an en suite bathroom, a 32-inch LCD satellite TV, safe, direct dial phones, tea/coffee makers, hair dryer, beach towels and more. Daily housekeeping is also provided. The in-house Boardwalk Restaurant offers a fusion of local and International fares, with expert chefs dishing out a spread made from the freshest ingredients. Daily continental breakfast is offered from 7.00am and a buffet spread from 7.30am. The hotel offers five days ala carte lunches and two buffets on Tuesday and Sundays, respectively. Guests may ask for a picnic basket in lieu of lunch. Similarly, there are regular dinners on five days and buffets on Wednesday and Saturdays with and live entertainment. The restaurant follows a smart casual to formal dress code during mealtimes. There is also a bar serving drinks. 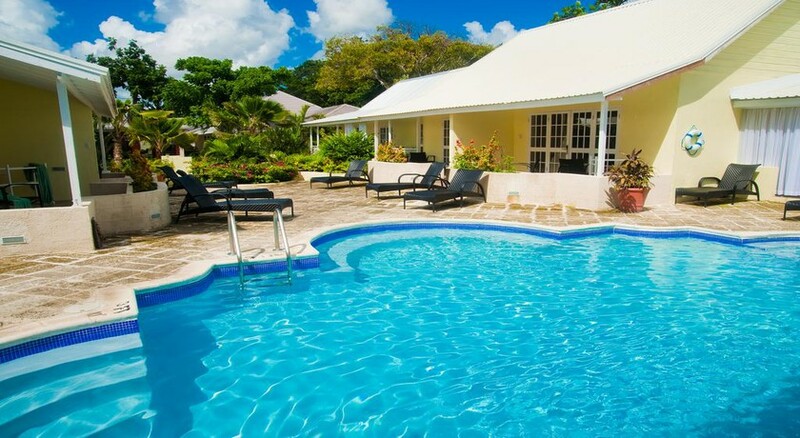 Guests can relax in the Island Hotel Inn’s fabulous outdoor pool or lounge on the sun terrace. Lounge at the pool deck on sun chairs relishing a refreshing drink. There are three lively entertainment shows weekly which take place at the restaurant. Nearby, there are buzzing nightclubs like Harbour Lights, The Boatyard as well as St. Lawrence Gap to sway to the music and let your hair down. Island Inn also has a 24-hour lounge based in the courtyard for guests to unwind in if they wish. Note: Please be advised that as from 1st July 2018 resort tax is required to be paid locally. The room levy will be US $5.50 per room per night. A small hotel but with clean rooms, excellent food and lovely staff. The bar staff are lovely and will make any drink you want or they will suggest to you some drinks to try. The food is delicious. Buffet is twice a week for dinner and the rest is a la carte which you can check the menus everyday. Breakfast is buffet and is absolutely delicious the staff are helpful and very polite. The beach was a one minute walk which was fantastic, as we went swimming with turtles. Also if you can get up early (6am) you can see the horses have a bath in the sea as they come from the nearby racetrack, a truly wonderful sight to see. The reggae reggae bus stop is just a minute’s walk from the hotel and will take you everywhere like Bridgetown, St Lawrence Gap and the famous fish restaurant in Oistins which I would highly recommend and it only cost 2 bajan dollars each way. The hotel pool is on the small side but was good as we had the pool to ourselves. Tea, coffee and hot chocolate is available 24 hours and once a week they have a cocktail party. The Bajan people are so friendly and welcoming l felt very safe there. If I go back to Barbados I would definitely go back this hotel as it was truly wonderful.